Sport Fishing is in Capt. Bubba Carter’s blood. He has fished in many locations around the world such as: The Dominican Republic, Panama, CoCos Island, St. Thomas V.I., Venezuela and Costa Rica. He has achieved many awards, recognitions and nominations, featured in several sport magazines, fished in hundreds of tournaments, and has appeared on ESPN! With 20,000 Billfish released, 18 World Records, Fantasy Slam (5 Billfish species in 1 day…he only caught 5 fish that day!! ), Super Grand Slam in both Atlantic and pacific Oceans, 2006 AFTCO Trophy for most tagged and released Billfish in the world, and Billfish Foundation Captain of the Year 2006, nominated Captain of the Year 2011 Edge Magazine…Capt. 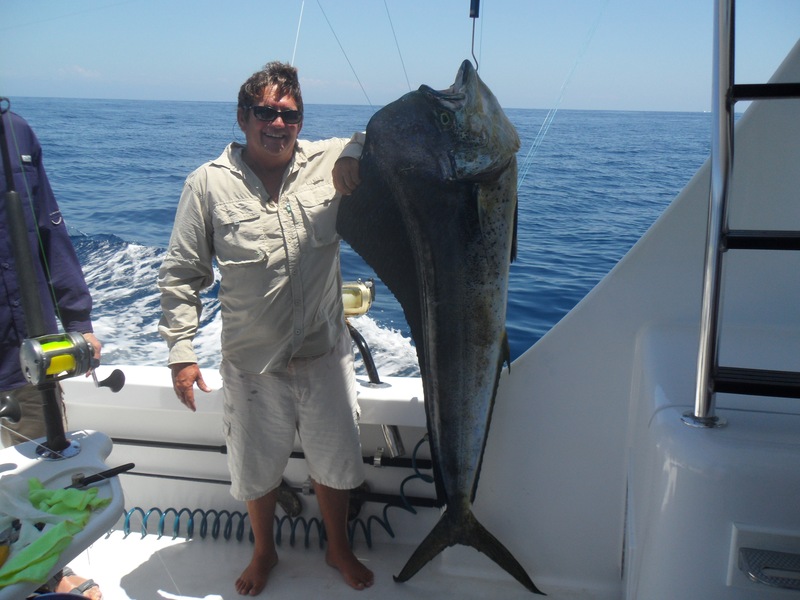 Bubba Carter, is waiting to transform your dream of a Costa Rica Sport Fishing Trip…Into reality! Capt. Bubba made SaltWater Sportsman 50 Top Charter Captains list. The Tijereta is home-ported at Los Suenos Resort and Marina, located near the central Pacific town of Jaco, Costa Rica. Los Suenos is a full-service marina and resort. The latest version of the Tijereta (“frigate bird” in Spanish) is a 43-foot Carolina custom built by Island Boat Works with reliable Cummins diesel power. 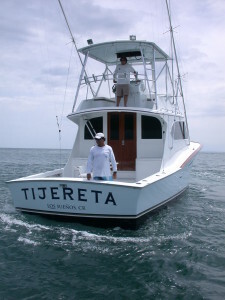 The Tijereta is fully rigged with all electronics, an air conditioned salon, large cockpit and top-of-the-line tackle from flyrods to 80-pound class for any fishing situation that may arise while offshore. Full Day Charter: 7:30 a.m. til 5:30 p.m. Check In Time: Parties are to check in one half hour prior to departure time. We Take Care of the Rest! !